The Ashanti Empire was a pre-colonial West African state that emerged in the 17th century in what is now Ghana. The Ashanti or Asante were an ethnic subgroup of the Akan-speaking people, and were comprised of small chiefdoms. The Ashanti established their state around Kumasi in the late 1600s, shortly after their first encounter with Europeans. In some ways the Empire grew out of the wars and dislocations caused by Europeans who sought the famous gold deposits which gave this region its name, the Gold Coast. During this era the Portuguese were the most active Europeans in West Africa. They made Ashanti a significant trading partner, providing wealth and weapons which allowed the small state to grow stronger than its neighbors. Nonetheless when the 18th Century began Ashanti was simply one of Akan-speaking Portuguese trading partners in the region. That situation changed when Osei Tutu, the Asantehene (paramount chief) of Ashanti from 1701 to 1717, and his priest Komfo Anokye, unified the independent chiefdoms into the most powerful political and military state in the coastal region. The Asantehene organized the Asante union, an alliance of Akan-speaking people who were now loyal to his central authority. The Asantehene made Kumasi the capital of the new empire. He also created a constitution, reorganized and centralized the military, and created a new cultural festival, Odwira, which symbolized the new union. Most importantly, he created the Golden Stool, which he argued represented the ancestors of all the Ashanti. Upon that Stool Osei Tutu legitimized his rule and that of the royal dynasty that followed him. Gold was the major product of the Ashanti Empire. Osei Tutu made the gold mines royal possessions. He also made gold dust the circulating currency in the empire. Gold dust was frequently accumulated by Asante citizens, particularly by the evolving wealthy merchant class. However even relatively poor subjects used gold dust as ornamentation on their clothing and other possessions. Larger gold ornaments owned by the royal family and the wealthy were far more valuable. Periodically they were melted down and fashioned into new patterns of display in jewelry and statuary. If the early Ashanti Empire economy depended on the gold trade in the 1700s, by the early 1800s it had become a major exporter of enslaved people. The slave trade was originally focused north with captives going to Mande and Hausa traders who exchanged them for goods from North Africa and indirectly from Europe. By 1800, the trade had shifted to the south as the Ashanti sought to meet the growing demand of the British, Dutch, and French for captives. 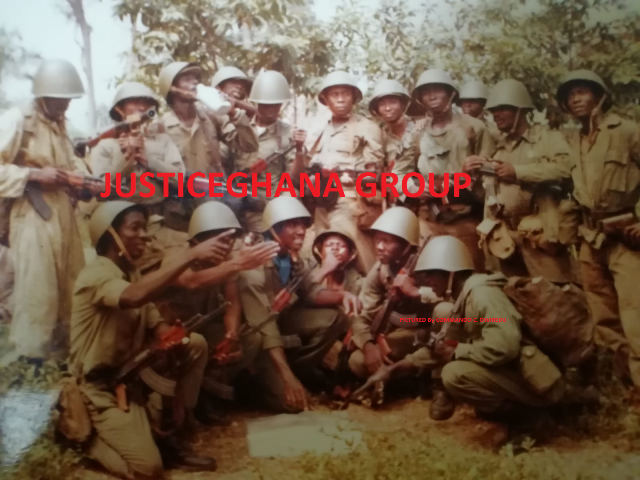 In exchanged the Ashanti received luxury items and some manufactured goods including most importantly firearms. The consequence of this trade for the Ashanti and their neighbors was horrendous. From 1790 until 1896, the Ashanti Empire was in a perpetual state of war involving expansion or defense of its domain. Most of these wars afforded the opportunity to acquire more slaves for trade. The constant warfare also weakened the Empire against the British who eventually became their main adversary. Between 1823 and 1873, the Ashanti Empire resisted British encroachment on their territory. By 1874, however, British forces successfully invaded the Empire and briefly captured Kumasi. The Ashanti rebelled against British rule and the Empire was again conquered in 1896. After yet another uprising in 1900, the British deposed and exiled the Asantehene and annexed the Empire into their Gold Coast colony in 1902. Sources: Kevin Shillington, Encyclopedia of African History (New York: Fitzroy Dearborn, 2004); Ivor Wilks, Forests of Gold: Essays on the Akan and the Kingdom of the Asante (Athens: Ohio University Press, 1993).